Eviction—Impairment of value and utility of building—Impairment is to be perceived from view point of landlord and not of tenant. March 10th, 2019 | Comments Off on Eviction—Impairment of value and utility of building—Impairment is to be perceived from view point of landlord and not of tenant. 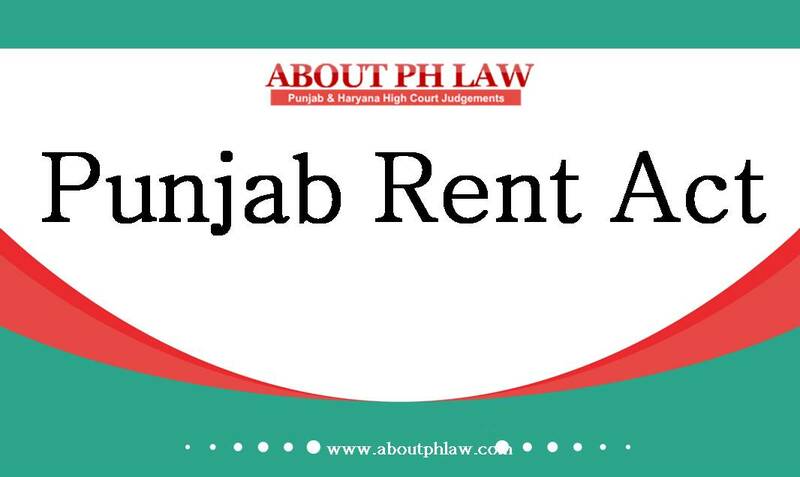 Eviction—NRI Landlord—Leave to Defend—Merely because one of the co-owner of the building had let out the premises and was accepting the rent; it would be mean that there has been partition among the co-owners. March 4th, 2019 | Comments Off on Eviction—NRI Landlord—Leave to Defend—Merely because one of the co-owner of the building had let out the premises and was accepting the rent; it would be mean that there has been partition among the co-owners. Eviction—Personal Necessity—Need for space for stay of married son, daughter or sister even occasionally on their visit to parents/brother is bonafide personal need. February 23rd, 2019 | Comments Off on Eviction—Personal Necessity—Need for space for stay of married son, daughter or sister even occasionally on their visit to parents/brother is bonafide personal need. Eviction–Cease to Occupy- -Tenant contented that she is running tea shop but failed to prove purchase of any material for preparation of tea or any other food articles which she may be selling from said shop—Eviction upheld. January 26th, 2019 | Comments Off on Eviction–Cease to Occupy- -Tenant contented that she is running tea shop but failed to prove purchase of any material for preparation of tea or any other food articles which she may be selling from said shop—Eviction upheld.